I have to say that I picked this book up simply because it was on the Recommended New Fiction shelves at Barnes and Noble a few weeks ago here in Fort Worth and I happened to take down that list and email it to myself thinking, I want to get back to reading at least 1 book a week. I read through this in 5 days AND I went back to the library and picked up a few more of her books too, I’d already starting reading my next library recommended read pick so her books are currently in waiting but I am excited! Birdie Cousins has planned a getaway with her daughter Chess on rustic, charming Tuckernuck Island off the coast of Nantucket, a chance to bond before Chess’s upcoming marriage. Birdie’s been through a difficult divorce herself, so she knows the big commitment that marriage entails. She’s only recently dared to tiptoe back into the waters of romance. When Chess abruptly breaks off the wedding and her fiancé shockingly dies in a rock climbing accident, it leaves Chess feeling guilty and deeply depressed. Birdie circles the wagons, convincing her younger daughter Tate, and her own sister India to join them on Tuckernuck for the month of July. 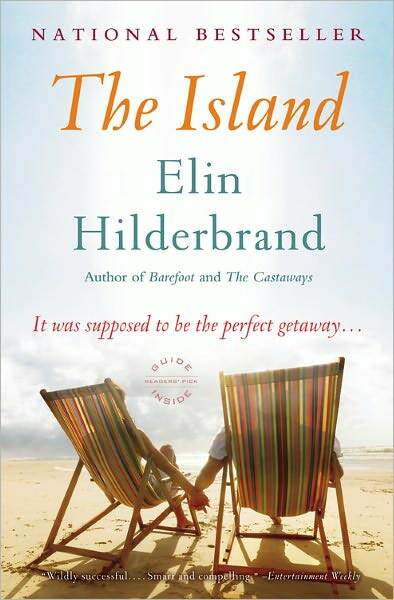 Secrets and intrigue soon make their way to the surface, as Elin Hilderbrand once again weaves a masterful story of summer suspense.